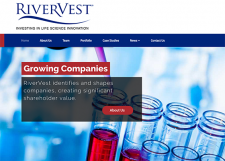 RiverVest Venture Partners funds and promote entrepreneurs and start-up companies exclusively in the life sciences field. The vast investment, research and clinical experience of the RiverVest team successfully positions early-stage clients for maximum impact and later-stage companies for independence and exit. Since 2000, the St. Louis-based firm has funded 34 life science ventures, managed $290 millions in assets, founded eight companies leading to four acquisitions and launched 20 exits. 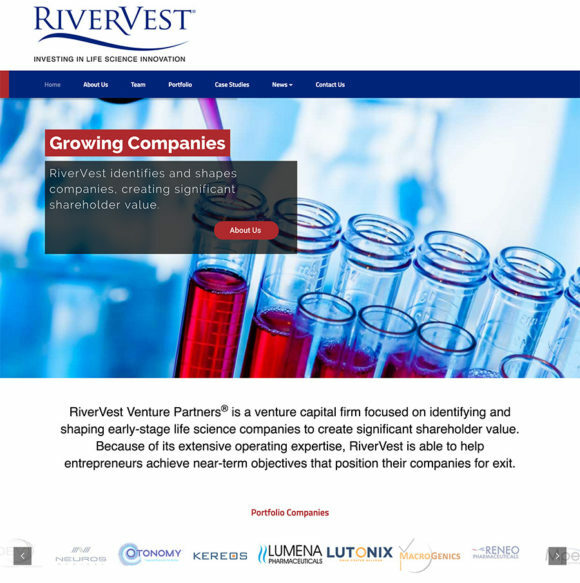 RiverVest wanted to update its website to be more secure, easy to update, mobile responsive and have a modern design.The established St. Louis venture capital firm needed a more functional and user-friendly online platform to attract investors, promote their portfolio companies, educate the public and engage the medical and scientific communities. NeuConcept brought its expertise in working with biotechs and helped RiverVest redesign and upgrade its website, using the WordPress Content Management System. NeuConcept continues to support RiverVest with website care, development and graphics.